This is the hardest part of the year to get through. I have no patience left – please, no more squash! I’m done with potatoes. And I have no kindness left in my heart for kale. Let’s have some asparagus, already! Spring gave us a sneak preview last weekend, a single day of sunshine and warmth where I ran around with bare arms and ate a bahn mi sandwich in a park while the baby learned the pleasures of sliding and swing-sets. 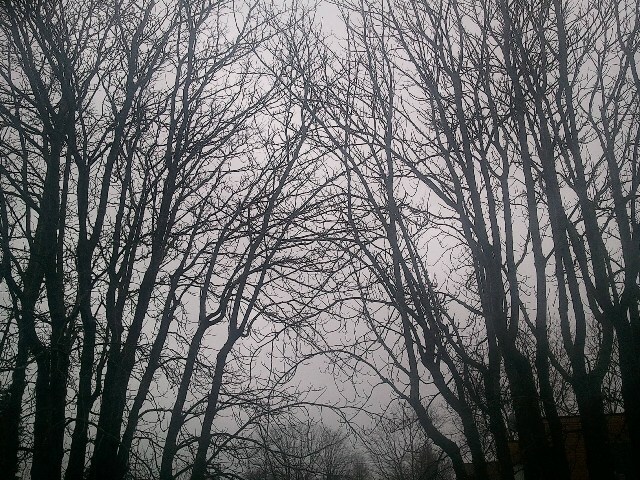 And then things went back to normal, and the sky turned grey, and it has been that way ever since. This time of year feels like purgatory. Molly Waffles has been pacing the apartment and pressing her paws to the window, scratching at the glass. She is desperate to go outside, but there is a family of raccoons out there, and city raccoons are the size of adolescent black bears and she would be little more than an appetizer. I am similarly desperate for something new and different. Maybe that’s strawberries and pink wine in the sunshine, or maybe it’s something bigger? I will be 30 in 30 days, and I am starting to feel like I’ve been pacing around and scratching at windows, like it’s time to make a mad dash for whatever’s beyond here, whether that means outrunning city raccoons or something even scarier. Or maybe the wet that seeps in through the holes in my boots has found its way into my bones and now there’s mildew in my bloodstream. Maybe this itch for something fresh is just impatience, because something really good – like peach season – is on its way. And maybe what I need isn’t so much an escape as a way to bide time. If that’s the case, then soup will drag us all through these last dark days before the sun brings back all the green things that make us feel alive. Fingers crossed, anyway. We’ll know better what’s out there for us once the sky clears. Preheat your oven to 325°F. 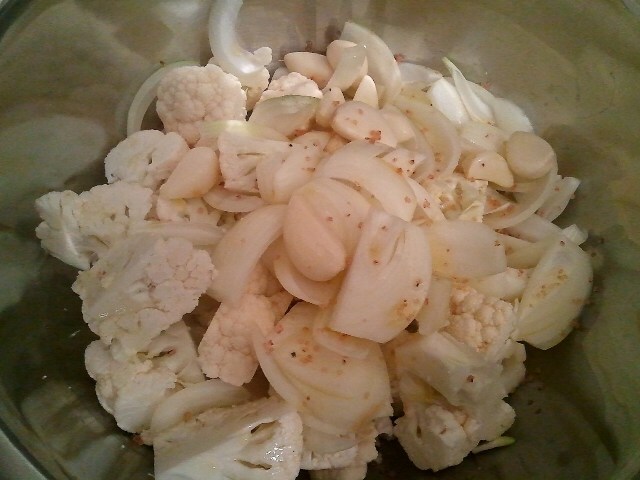 Chop cauliflower and onion, and place in a large bowl with garlic cloves. Pour olive oil over top, mixing thoroughly with your hands so that all the pieces and bits are coated. Sprinkle with salt, and pour into an oven-safe pot – ideally one that will transfer from your oven to your stove-top. Roast for 45 to 60 minutes, or until golden and fragrant. Stir halfway through cooking for even browning. Remove from the oven to the stove-top, and add almonds, stock, lemon zest and juice, and Worcestershire sauce. Simmer over medium heat for ten to 15 minutes, until the almonds have softened. 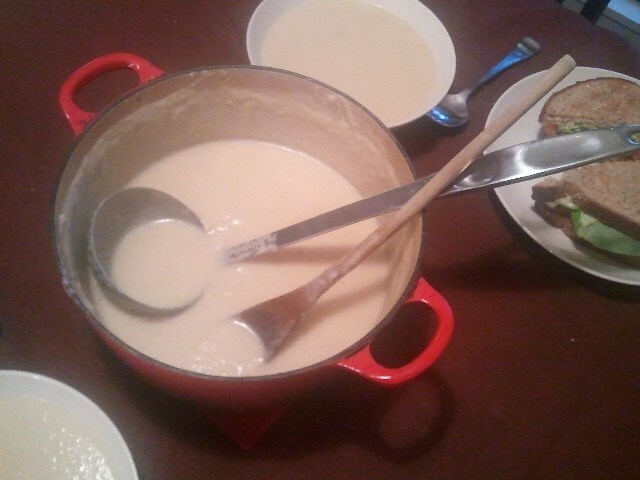 Remove from heat and blend with an immersion blender or regular blender, then return to heat. Add cheese, stir, then add milk. Taste, adjusting seasoning as needed and thinning to your desired consistency with more stock or water. Next > Pot roast weather. OH YUM! 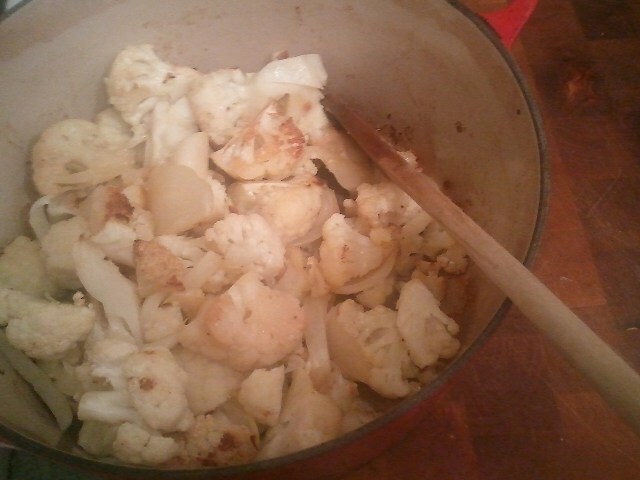 the family loves roasted cauliflower, and also soup. So, even though (heh…sorry) it is now snow pea and salad greens season here, this will be made and soon. I have a similiar cauliflower soup that I make with coconut milk, no cheese or nuts, and no roasting required. It is easy and flavourful. Rootietoot: I AM SO JEALOUS RIGHT NOW. It has rained here for days and I am cranky about it! Lisa: I love coconut milk! Oddly, have not paired it with cauliflower; I’m going to have to try it. Roasted cauliflower is big around here (though asparagus is showing up … sorry) – I have never made it into soup. Now I’m tempted. I hope that whatever you’re scratching for – more light, more fruit, or just something new – you get it soon.